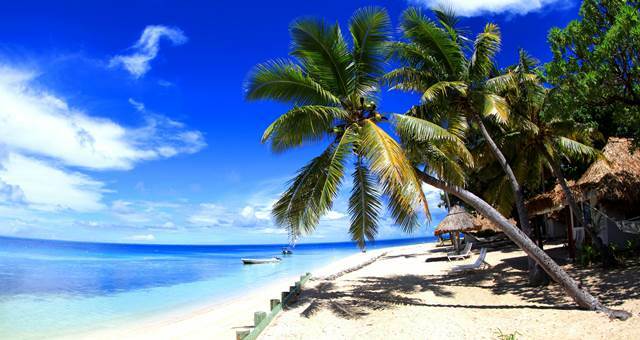 Fiji's tourism has quickly returned to 'business as usual', with the Fiji Hotel and Tourism Association reporting that most major resorts and hotels have already resumed full operations. Fiji’s tourism has quickly returned to ‘business as usual’, with the Fiji Hotel and Tourism Association reporting that most major resorts and hotels have already resumed full operations. “As regular visitors to Fiji know, the country is extremely resilient and once storms or rains pass, Fiji is back to normal in a matter of days,” said Fiji’s Permanent Secretary, Elizabeth Powell. Despite the recent flooding, Fiji is back in business for conferences and incentives. Cyclone Daphne, and its associated winds and rain have passed Fiji by, and weather in Fiji is improving on an hourly basis. Following the weekend’s flooding, major hotels and resorts have reported damage only to some vegetation. However, non-resort areas in some parts of the country, such as Ba and Rakiraki, are still recovering. Air Pacific, Fiji’s National Airline, continues to operate, as it did every day during the rains and flooding, during which it was able to fly more than 3,000 people out of Fiji. All other major airlines have also now resumed flights and are carrying passengers to and from Fiji. Tourism Fiji notes that while the recent weather placed much strain on local tourism operations over the weekend all visitors to Fiji remain safe.